Listed over 1 year ago by "Island Music"
USED Palmer PGA-05 speaker simulator, Advanced Direct Injection for guitar-stereo. In excellent condition with box and manual. 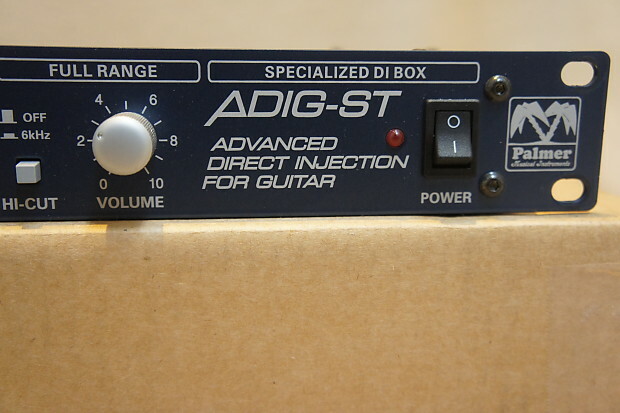 The PGA-05 ADIG-ST -Advanced Direct Injection for Guitar-Stereo is a single rack space unit that operates in a similar way to the PGA 04. 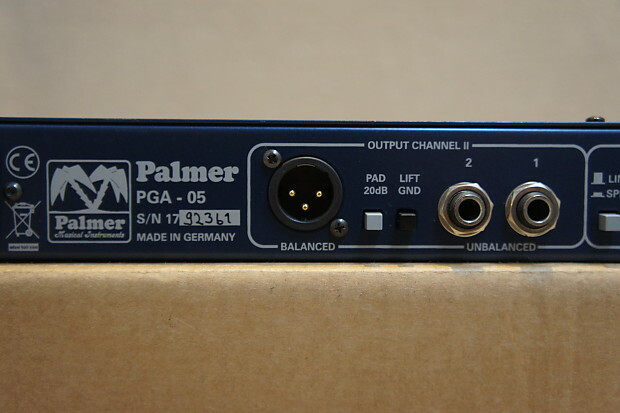 The difference is that the PGA-05 is active, requiring external power and has 2 channels, but no built-in loadbox, making it ideal for stereo applications, e.g. 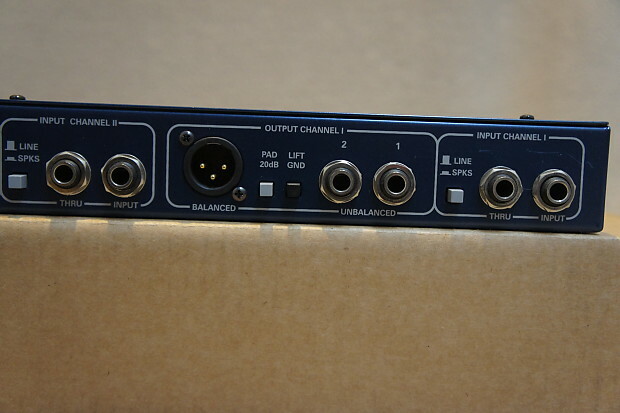 in preamps and guitar processors. 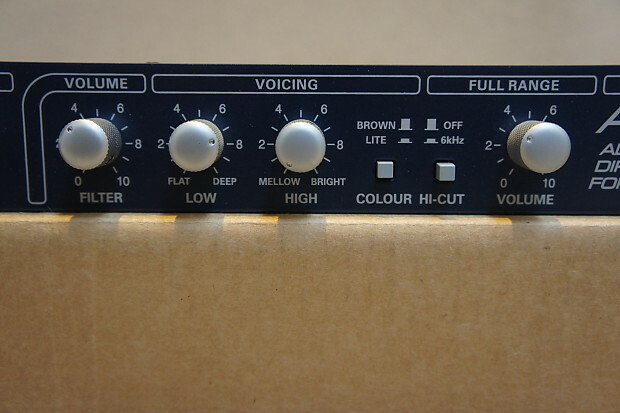 The rear inputs have a line/speaker level input switch making it versatile enough to use with preamps or amps. Since the PGA-05 does not have a built-in load box, you must use a speaker cabinet if you use an amp. 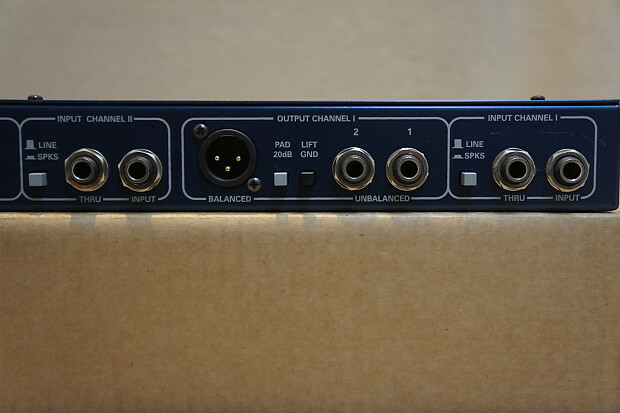 Each channel has a balanced XLR output with a line/mic level pad and 2 unbalanced 1/4in outputs. 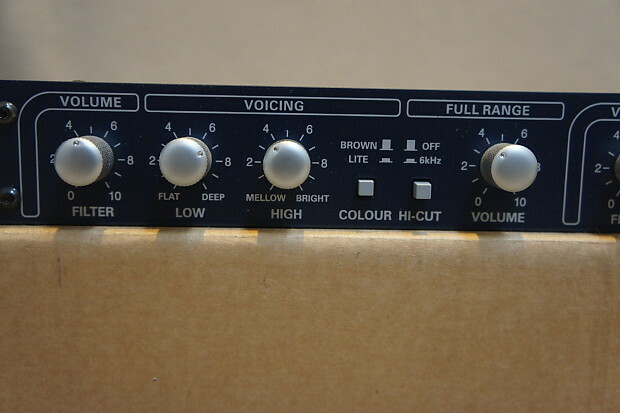 It has the same volume and tone features as the PGA-04. This is a powered unit that is switchable 230/115VAC. Most new, untouched, unopened items may be returned within 15 days of the date of delivery for a full refund in the form of store credit, less outbound shipping costs. Most vintage & used items may be returned within 3 days from the date of delivery. If you are not satisfied, please contact us immediately as we must evaluate all vintage and used returns on a case by case basis. All vintage and used refunds may be subject to a 5% restocking fee, as well as original outbound shipping costs. Buyer assumes responsibility for all return shipping costs, unless return is a result of incorrect shipment or defective item. For orders paid using an American Express card, we may pass on an additional 3.5% fee of the purchase price to process your refund. Most vintage & used items may be returned within 7 days from the date of delivery. If you are not satisfied, please contact us immediately as we must evaluate all vintage and used returns on a case by case basis. All vintage and used refunds may be subject to a 5% restocking fee, as well as original outbound shipping costs. 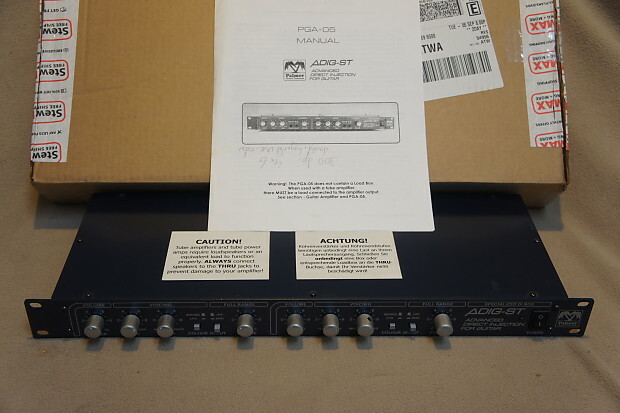 Electronics such as amplifiers, effects, and other sound reinforcement equipment are thoroughly checked over in our electronics shop beforehand to make sure everything is working. 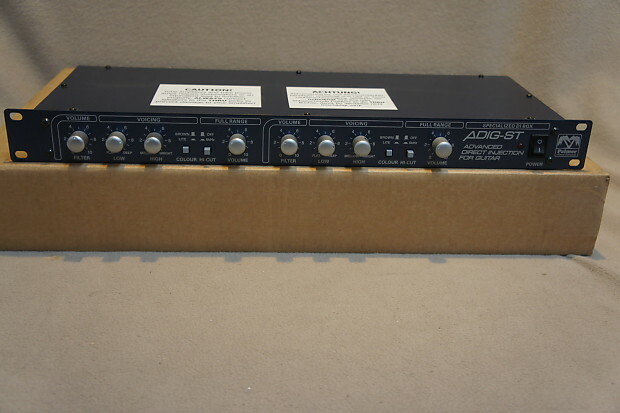 Amplifiers, effects, and other sound reinforcement equipment are sold as is with no returns. 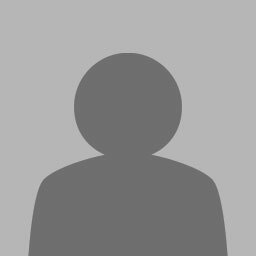 For partial refunds the Reverb processing fee is not refundable and will be deducted from the refund amount.